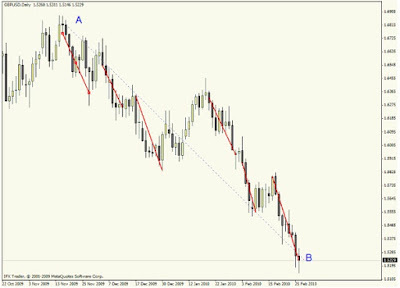 -Corrective = Wave Retracement = Pullback? - Momentum Low (ML)? Momentum High (MH)? Use a free tool, that is "NAKED EYES". We have a pair of beautiful eyes, utilize it, because it will serve the incredible good. This way, you will train your eye and brain coordination simultaneously, and believe me, you will be surprised, that your eyes and your brain just works so much better than the existing indicators. In the end, we did not find much difficulty in adapting to use existing forex indicators. But first, train your EYES and BRAIN ... It's free. Not hard to use the "Report View" directly from the scene of the price? Think yourself as a TV reporter, so we trade what we see directly on the chart, just trust your eyes. So the question is how far a corrective wave and the consolidation will take place? 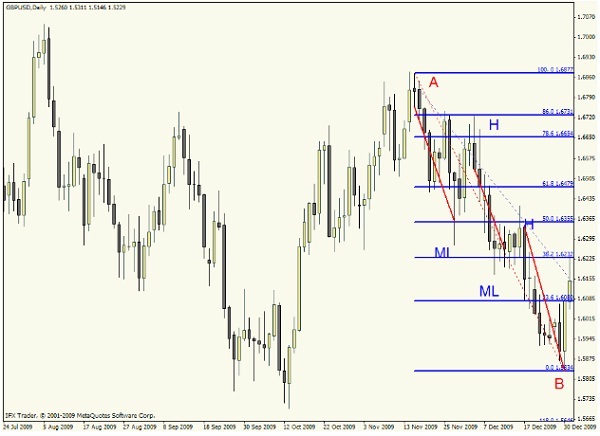 You can use other tools like Fibonacci, Pivot, or Support/Resistance Area. What important are you know that the trend is on your side, and trade according to momentum which indicates the direction of the trend. What we want to see and search is the momentum that shows each of the Momentum Low (ML), because after that we knew the price would be correction and consolidation. 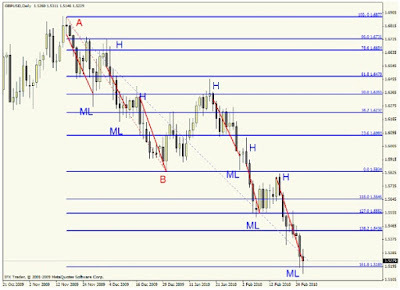 Try to measure this correction and consolidation, we can use Pivot, Fibonacci, or Support/Resistance Line. For example, if the GU downtrend has just created and we have seen more than one lower low-lower high, and we are trying to measure the down motion to find out retracement and the extent to which the downtrend continues. 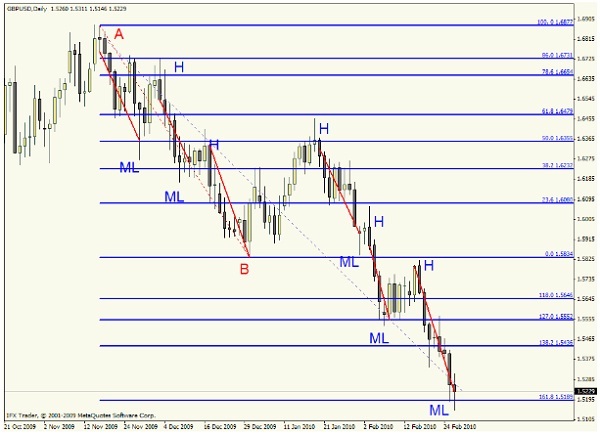 We measure down motion from A to B, Fibonacci Levels can help indicate areas of corrections that we can use as a foothold for 'entry' in accordance with the trend and momentum. Furthermore, from the same level at the chart above and without changing the position of Fibonacci we can get an idea of the extent of the down wave (extension line) and the accompanying correction. There you go, almost perfect. Well, the picture above has shown the probability of GU motion until last night, that comes to 161.8%. 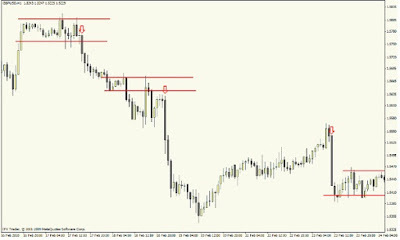 The point is at least you have the description of price motion from level to level and can be used to find the entry point of the existing correction. Could be on some level the trade that is done be losing trade, but the probability, most of the time, was a winning trade because the momentum and trend become a reference for decision. 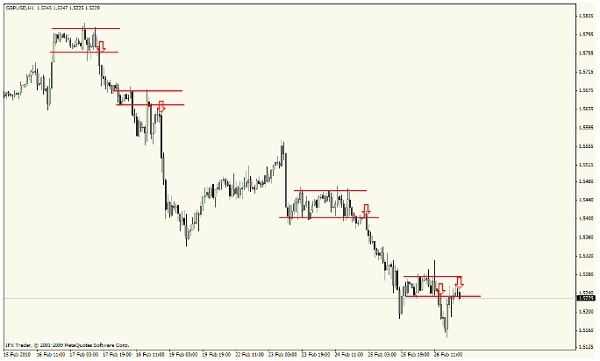 Another way in utilizing the momentum of motion was using support and resistance zones or supply and demand zone. 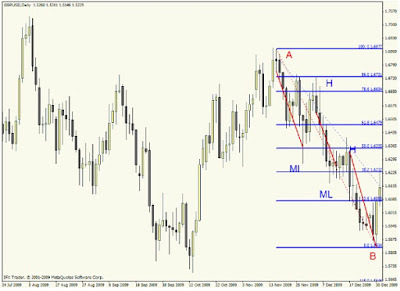 Let we drilled down GU at H1 which we would like to see momentum in more closely. 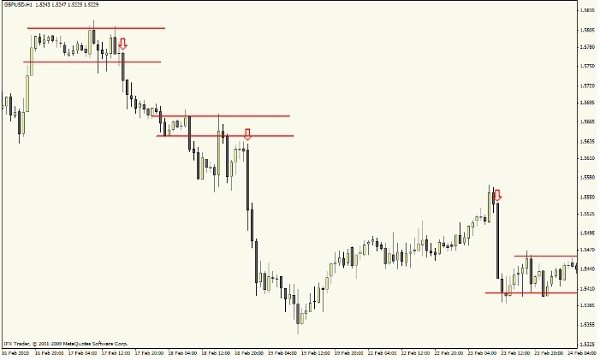 Entry at consolidation area in accordance with the direction of the previous momentum. 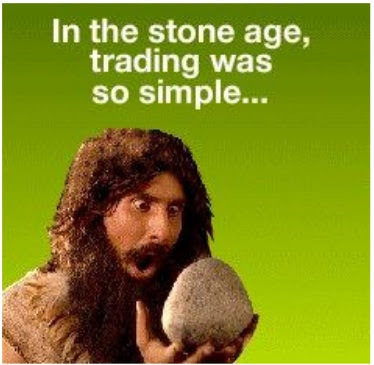 The image below is a simple way and doesn't make eyes tired in observing the price behavior. As I alluded earlier, that we want to see is momentum, particularly strong momentum. You can identify the strong momentum with seeing a long candle and little or no wick (tail). Because the candle shows dominance and total control of seller (downtrend) or buyer (uptrend). 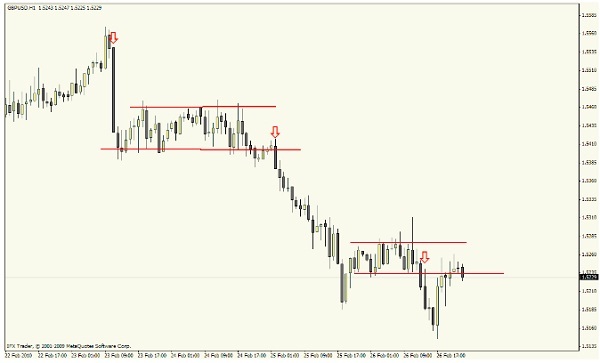 Look at the image below, on each arrow that shows the seller in control to price motion. Note also on a consolidation after strong momentum shows the price is resting, taking a breath, this is called Price Acceptance Zone (PAZ) where the market participants began to accept a new balance of prices. Keep practicing and complete the practice, don't quickly get tired in training the coordination of eyes. The powerful tools in any market condition are just Human Mind, combine it with the Eye View, you'll have powerful weapons to face this ‘forex battle’. Not robot nor indicators, it's painful that we were given a brilliant brain is referred as no-brainer trader.